The end of may already ?! I've been late finishing collecting these pictures this month. The photo scavenger hunt is set by Kathy at Postcards from the P.P. This is the second month I've joined in and I'm really enjoying it. I had resigned myself to having to improvise with this one ,but this afternoon at the country park one of my boys managed to snap this for me . I used this link to find out it's a female Common Blue ....she's very pretty isn't she. Another last minute entry. I've had my eye on this door all month and was waiting for some sun to shine on it ...gave up today. I think it must face north .There's a lovely fern in the front garden . Thankfully this was just at a local fun day for children to have a sit in. A little Observer Pocket book on wild flowers . I found this in a charity bookshop this month. Just the right size to take on my walks . A previous owner has noted dates they have seen certain plants ...the earliest being 1958. Had to be the sky for me . This was taken at sunset ...you can just see the moon if you look closely. This picture made me think of a quote I saw in this months Country Living ..." Other worlds cannot be as beautiful as ours. " a close up of my bedroom chair....the paint is peeling rather and you can see the original dark pink . I wouldn't want to add more paint though as I like to see the basket weave of this Lloyd Loom style chair. My very own Twins :0) It was their birthday last week which means they were actually born under Gemini .Happy Birthday boys...11 wow, can't call you little people any more ! A pretty cottage with roses round the door and a white picket fence. Perfect. There's a linky tool here so you can see the other entries . Hope you enjoyed . It's not too late to join in if you fancy it . There will be a new list posted for June any day. Boy ,we had some rain here yesterday. After all the dry weather it was nice that the garden got a proper soaking . We had a lazy morning ...not feeling guilty about staying inside... but after I wrote my last post the boys were getting a bit stir crazy , you know "Muuum what are we doing today ? " well, it's a bit wet to go outside, I said . Then my youngest suggested a Muddy walk . Yes , why not !! Haven't been on one of those in ages. So he phoned his cousins .........." Do you want to go on a muddy walk and don't forget your wellies "
It's a big pile of grass clippings that has a sort of crust that covers some truly stinky green sludge . So delicate and pretty , they had a gorgeous sweet scent.. It's so nice to see it in a different room and I think it looks right at home with it's crochet cousins :0) Ummmmm...not much space to sit on this sofa these days ! It's made using single crochet (U.S. term) and worked in a continuous spiral i.e. no joining rows...just keep going . There are some lovely examples of these rugs on Flickr that originally inspired me, like this one, and this one and this one. These are not all made using T. shirts . People often use any fabric they have ...including vintage sheets ...yikes that would be too upsetting for me ,but I suppose if they are very worn it's a good way to make use of them. 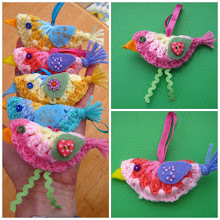 It is different from working with standard yarn . I'm right handed and the yarn in my left hand tends to get too tight as it does not slide well so I have too keep loosening it . Also these rugs get pretty heavy fairly quickly . Mines only about one foot by two feet so far and it's already quite weighty so I'm finding it easier to work sitting at the table so that it's supported. I've got plenty more T.shirts ready to make into yarn and hopefully now I've shared this project with you lovelies I'll feel inspired to get on with it so I can show you the finished product. 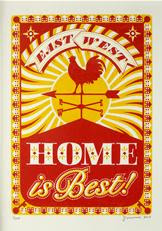 Heather over at one of my favourite blogs Little Tin Bird has kindly given me an award . I'm sorry I don't always get round to posting about awards but I do appreciate the sentiment a lot . 1.At the moment I'm still enjoying running and I've managed seven miles as the furthest distance . I'm happiest just going out and doing two to three though .I'ts great to get out in the fresh air and so convienient. Sadly my knees are starting to complain ( despite these expensive trainers) so I may have to go back to the aerobics classes soon. My knees (along with the rest of me ) ain't as young as they used to be . 2. I will be 45 soon but I don't feel that old till I look in the mirror. 3.One of my favourite films of all time is "Pretty in Pink" I loved the way Molly Ringwald's character made her own prom dress and it has some great 80's music. 4. My favourite chocolate bar is a "Twirl"
The three in the centre are mine .They are prince charming and Cinderella rag dolls and A Bunny ! !Sadly I don't know where they ended up but my latest bunny is a influenced by her.Their dresses are pretty much the same. 6.My eldest 2 have gone away on a school residential visit this week , so we are a family of three at the moment . Thankfully they are back tomorrow and I'm sure they are having a great time . It doesn't stop me from starting more though! 9.My Mum used to take my brother and I to look around art Galleries a lot as children but I didn't really get inspired till we went to an exhibition of amazing patchwork quilts when I was about 13. I was completely blown away by them . A resolution for this year, that I haven't managed to fulfill yet ,is to do some more patchwork. 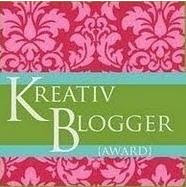 Now I have to pass this award on to 10 lovely blogs that inspire me. Blogger is not letting me comment at the moment ( v.frustrating ) so I can't let you lovelies know but if you see this and want to join in that's great . If not I COMPLETELY understand . So , on to my walk and a look at the May nature in these parts one hundred and six years after Edith painted her observations . It's different but non the less pretty,I do feel happy to have ended up living so close to such lovely countryside. I suppose it would be a great place to live but I'm glad that I can honestly say , I'm most content in my average little house . As long as my family is happy and healthy I'm rich in more important things than money .